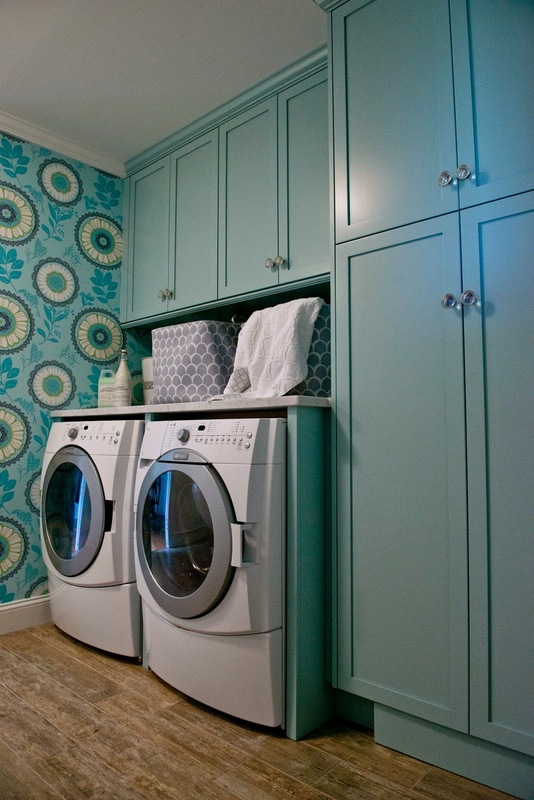 having a laundry room like that just make laundry more fun! Beautiful! 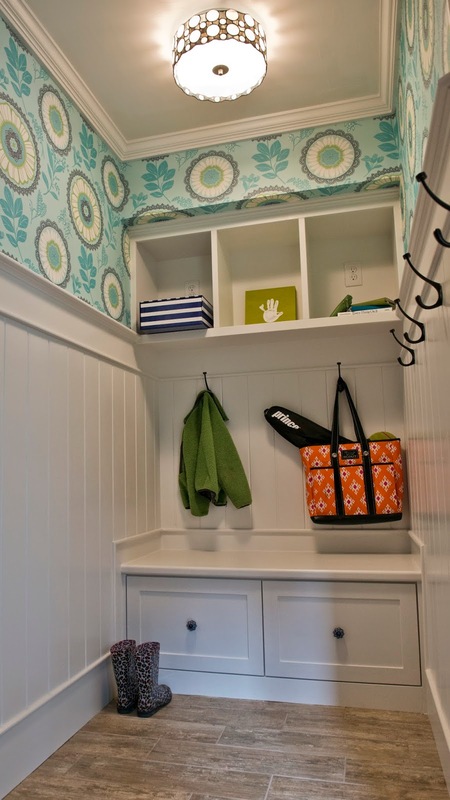 Yes - seriously need to know that teal/turquoise paint color! I'd love to tackle laundry in that room! PLEASE share the cabinet color! 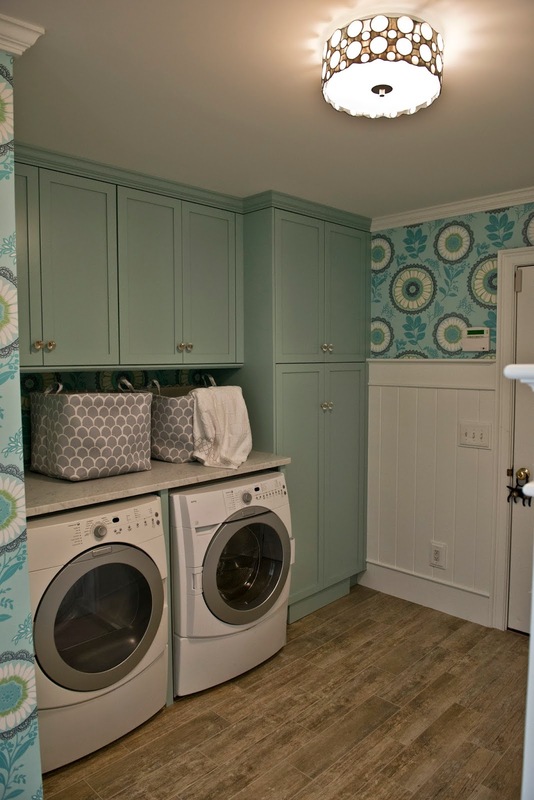 I adore that laundry room! 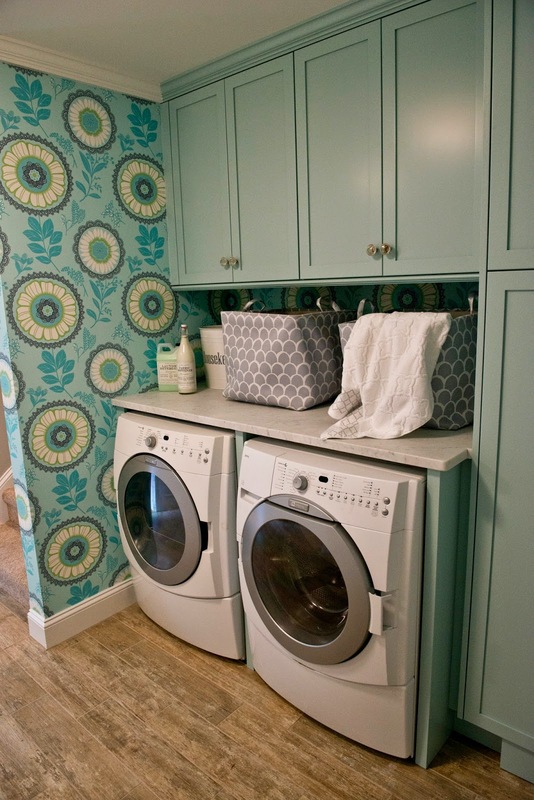 Attractive laundry room! I never imagine to create such beautiful space, and I even ignore it for its just a laundry room where everyone never notices. 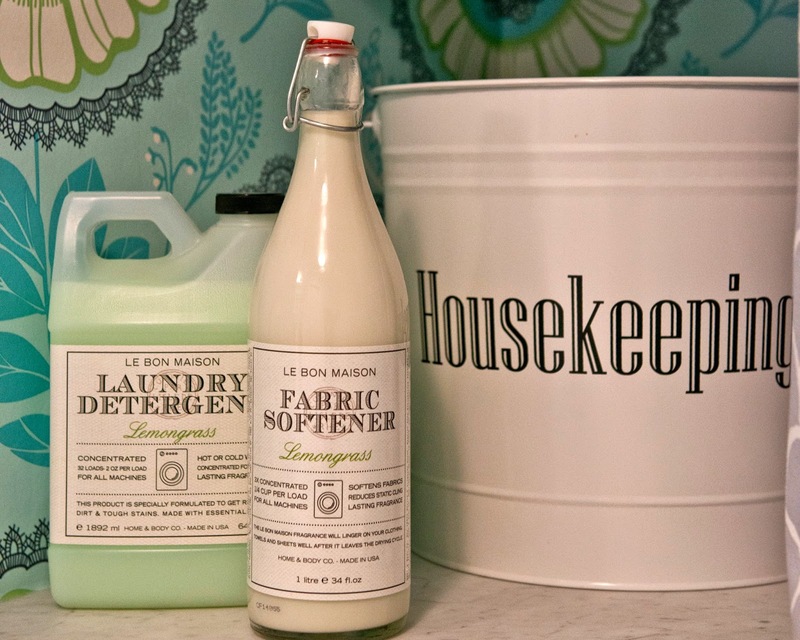 I think I have to start remodeling my laundry room; I love wallpaper and the lamp fixture! did anyone ever find out the color?